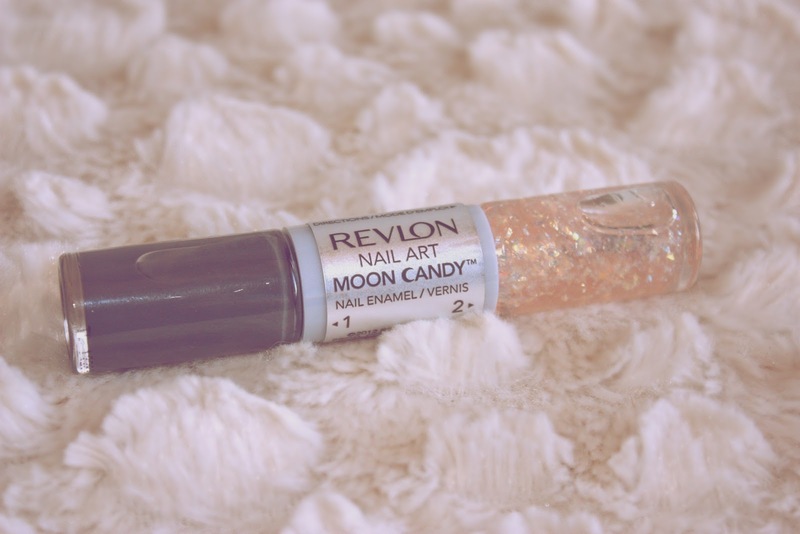 Revlon Moon Candy nail art in 250 "Supernova"
I passed by these in Target and just couldn't leave without buying this one, because it's so hard to find a gray nail polish! But after I put it on, I was a little disappointed in the color..
Also, the concept of a two-in-one nail polish is great, but it was a little harder to use than a regular bottle. When I switch hands, I put the cap back in the bottle, but this product is too top-heavy to do so. And then for some reason, not a lot of the polish stuck to the brush, so I could only paint about half a nail at at time. But the actual product is fantastic! I've been wearing it for 3 days now, and it still hasn't chipped. So, I will definitely buy Revlon nail varnish again, but I will not be buying Moon Candy again. So, sadly, I'll have to give Moon Candy 2 1/2 stars.